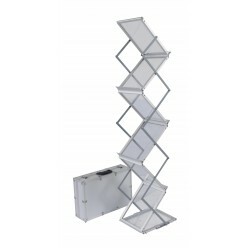 ZigZag discount leaflet holder This zigzag brochure holder is ideal to expose your documents in an original way. Delivered in a bag for convenient transportation! Printing free! 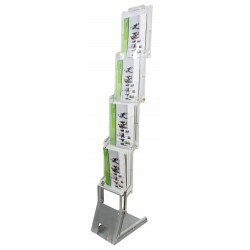 Design advertising leaflet holder Find out advertising brochure holders that will allow you to give great visibility to your company brochures on your point of sale or at your shows. Delivered in a bag for convenient transportation! Printing free! 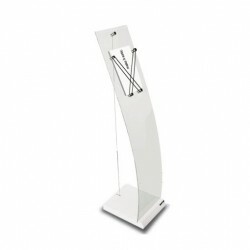 Ideal to display your literature, this plexiglas brochure holders with its original shape will distinguish you from others stands. Delivered in a handy carrying bag ! FREE PRINT ! Essential for your stand, brochure holders or literature stands allow your visitors to access to your flyers, catalogs and sales brochures easily. Browse our models easy to assemble.